Hyped emotions, and political opportunism aside, the Israel-Turkey normalization deal, signed on June 27 is unfavorable for Palestinians – and for Gazans, in particular. There is much that is being said to blame Turkey or placate the damage of seeing Turkey – which has for years been one of the most visible backers of Palestinian Resistance – reaching out to Israel. Yet, no amount of text, statements and press releases can diminish the psychological defeat felt in Gaza following the announcement. Gazans are emotionally exhausted after ten years of siege, dotted by devastating wars and the lack of any political horizon. Aside from their resistance, undying faith and legendary steadfastness, Palestinians in Gaza have looked up with much hope and anticipation to a few friends. One was Turkey. The relationship was cemented in May 2010, when Israeli commandos raided the ‘Freedom Flotilla’ in international waters, killing nine Turkish humanitarian activists aboard the ‘MV Mavi Marmara’. 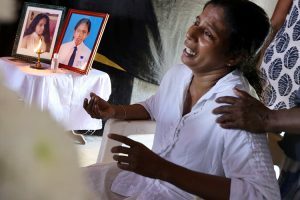 A tenth activist died later from his wounds. 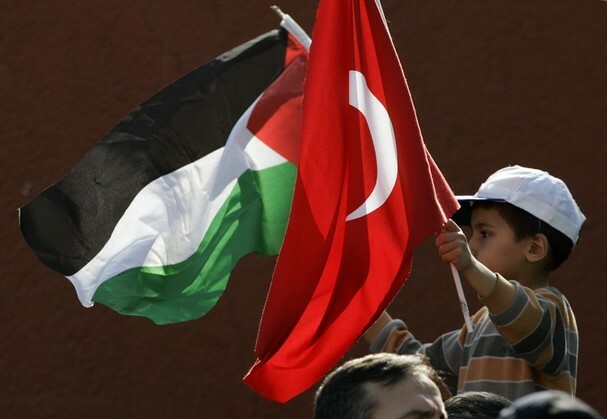 Since then, many Palestinians, as well as many Turks, have felt that the relationship between Palestine and Turkey entered a new phase, not that of words, but deeds. They had more in common than sentimental gestures of friendship, now, blood and tears. There is no question that Turkey, an important NATO member and an American ally in the region, has been under much pressure since it demoted its diplomatic ties with Israel in 2011. But the fact is, normalizing ties with Israel without the latter lifting the suffocating and deadly siege on Gaza was not a criterion for Turkey. Neither the Turkish economy, political stability nor national security was exceedingly damaged by the Turkey-Israel rift. The little known fact is that the rift hardly affected trade between both countries. “Though political relations had hit rock bottom, both Turkey and Israel knew business must go on,” Turkey’s TRT World recently reported. Moreover, 2013 and 2014 were one of the busiest years for Turkish Airlines carrying passengers between Turkey and Israel and, in 2015, trade between both countries had risen to $5.6 billion, according to Turkish Statistics Institute, cited in TRT. Still, thanks to what seemed like a principled Turkish position on Gaza, Turkey’s status, at least among Muslim nations, has been elevated like never before. Perhaps, Turkey has felt embattled as a result of the war on Syria, the rise of militant violence, uncertain economic forecast, the flood of refugees, its conflict with Russia and the political crack within its ruling party. But Palestinians have played no part in that. If Turkish Prime Minister, Recep Tayyip Erdogan, felt the need to re-evaluate his political course as a result of whichever political calculation he found urgent and reasonable, what sin did Gazans commit to be disowned in such a fashion? It is a “stab in the back”, Gaza Professor Haidar Eid wrote. It is a “cheap manipulation of the Palestinian cause,” complained Gaza journalist, Ghada Albardawil. While others tried to maintain conciliatory language, the disappointment in Gaza – in fact, among most Palestinians – is unmistakable. This reasoning, however well-intentioned, is off the mark. Turkey, of course, cannot be blamed for the failure to lift the siege. The siege is an Israeli one, and its deadly outcomes are the moral and legal responsibility of Israel, its regional partners and western supporters. However, it is still incumbent on Turkey, as it is on every other country in the world, not to do business with a government accused of war crimes, including that of Crime of Apartheid, in addition to its continued violations of international and humanitarian law. With Israel illegally occupying the West Bank and East Jerusalem (Al-Quds) and imposing a deadly siege on Gaza, what moral justifications can the Turkish government provide to justify its normalization of ties with Israel? Not only does the agreement ensure the families of the 10 Turkish victims (considered ‘martyrs’ by Palestinians) will be denied the right to legally pursue criminal charges against their Israeli murderers, thousands of Palestinian families, too, will have no such chance. In other words, business as usual will return to the Turkish-Israeli relations, while Gazans are trapped behind fences, walls and barbered wire. Those who wish to see the cup half full, cite the fact that Gaza will be receiving tons of Turkish aid, a future hospital with the capacity to hold 200 beds and a water desalination plant – especially when considering that only 3 percent of Gaza’s water is actually drinkable. But the supplies will be routed via an Israeli seaport – which is exactly what the ‘Mavi Marmara’ activists refused to do. The political move would further validate the Israeli Occupation, and the siege apparatus as well. Worse, this arrangement – if it is, indeed, fulfilled – would reduce the crisis in Gaza to that of a humanitarian one. But this is not the case. Gaza is not just suffering from an economic embargo, but a politically-motivated blockade following the 2006 democratic elections in Palestine, the result of which was rejected by Israel and its backers. Gazans are punished purely as a result of a political question and, later, for their resistance and refusal to succumb to pressure and bullying. Neither foodstuff, nor a hospital or cleaner water will resolve any of these dilemmas. When Israeli commandos violently raided the ‘Freedom Flotilla’ in May 2010, something extraordinary happened in Gaza: a deep sense of loss, but also a sense of pride. It was the first time that this generation experienced real solidarity emanating from a Muslim country, exhibited with such resolution and willingness to sacrifice. For years, many in Gaza were partly sustained by the hope that Turkey would maintain its support (as Palestinians were promised repeatedly) until the siege is lifted. This has not been actualized. Moreover, Israel is expected to generate massive wealth as a result of the deal, especially when it is able to export its natural gas to Europe, via Turkey. But if this is not entirely about money, at least from the Turkish perspective, what is it, then? A Turkish foreign policy realignment? A return to the ‘zero problems with our neighbors’ approach to foreign policy? Whatever it is, seeing the hopes in Gaza dashed under the crushing weight of realpolitik is disheartening. No matter that some are proposing to sugarcoat the Israel-Turkey rapprochement, the deal was a blow to Palestinian hopes that their siege was about to end, that they were no longer alone facing Israel’s military machine and its powerful western benefactors. Perhaps the deal is also a wake-up call – that Palestinians must count on themselves first and foremost, achieve their elusive unity and seek solidarity the world over. Nevertheless, even this unfair deal cannot possibly break the bond between the Turkish and Palestinian people. ‘Blood is thicker than water’, they say. And they are right. – Dr Ramzy Baroud has been writing about the Middle East for over 20 years. He is an internationally-syndicated columnist, a media consultant, an author of several books and the founder of PalestineChronicle.com. His books include “Searching Jenin”, “The Second Palestinian Intifada” and his latest “My Father Was a Freedom Fighter: Gaza’s Untold Story”. His website is www.ramzybaroud.net. Turkey joining NATO itself heralded new geopolitics in West Asia. The close relation between Israel and Turkish governments monitored by West and US began to show effect on Palestine masses. But, undeterred by the governments of both israeli and turkey, Palestine must develop people to people contact. A powerful analysis detailing the betrayal by Turkey and its shameful repercussions; the normalising of the Zionist siege of Gaza and the crushing of Gazan hopes in the breaking of Turkish promises… not really unexpected given the political ambitions of Erdogan that are erratic and driven by international headwinds. Poor Gaza. But as Baroud points out political machinations “cannot possibly break the bond between the Turkish and Palestinian people’ and this applies also to bond between Palestinians and Yemenis, and Egyptians, and Iraqis, and Iranians, and Syrians, and Lebanese.